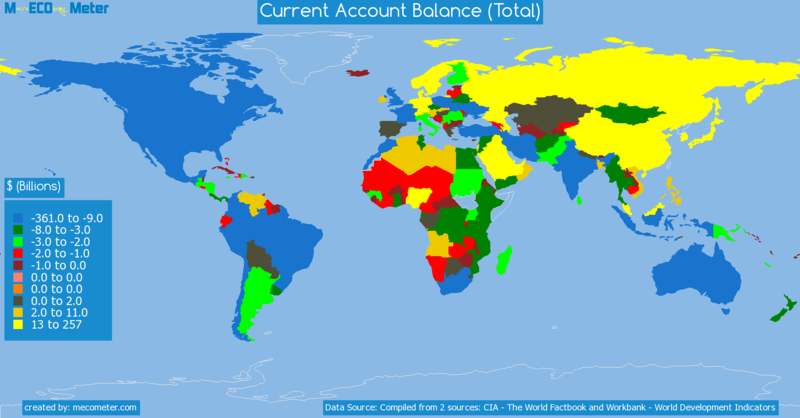 Value & RankThe Current Account Balance (Total) of Sierra Leone is -463 ( millions of $) with a global rank of 99. 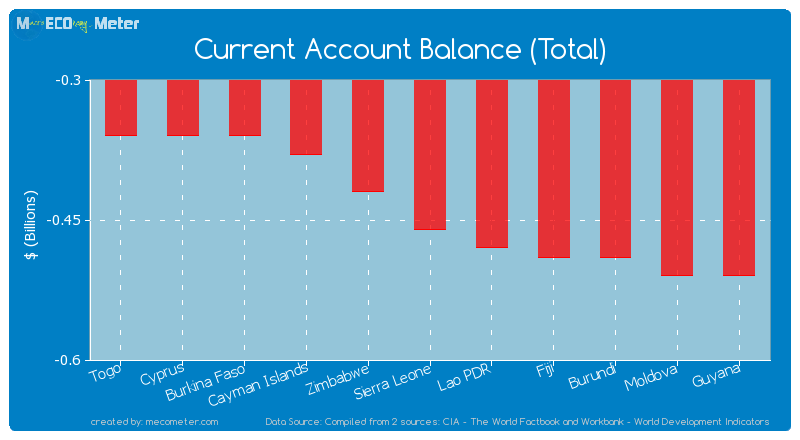 Sierra Leone compared to other CountriesThe Current Account Balance (Total) of Sierra Leone is similar to that of Togo, Cyprus, Burkina Faso, Cayman Islands, Zimbabwe, Lao PDR, Fiji, Burundi, Moldova, Guyana with a respective Current Account Balance (Total) of -355, -358, -365, -385, -417, -484, -492, -493, -508, -511 ( millions of $) and a global rank of 94, 95, 96, 97, 98, 100, 101, 102, 103, 104.5 years declineSierra Leone's Current Account Balance (Total) had a negative growth (decline) of 106 (%) in the last 5 years from (2008 to 2013). 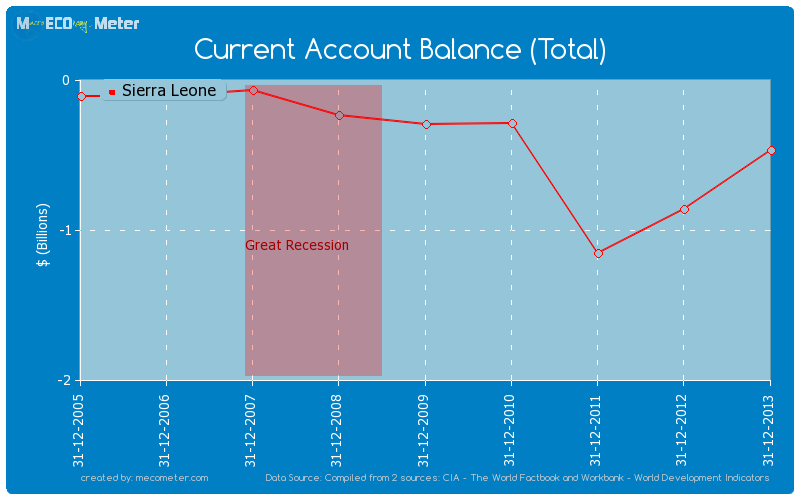 Last 5 years averageSierra Leone had an average Current Account Balance (Total) of -546 ( millions of $) in the last 5 years from (2008 to 2013).